When I was growing up as a young roller coaster enthusiast, I found it near impossible to find roller coaster models to build. 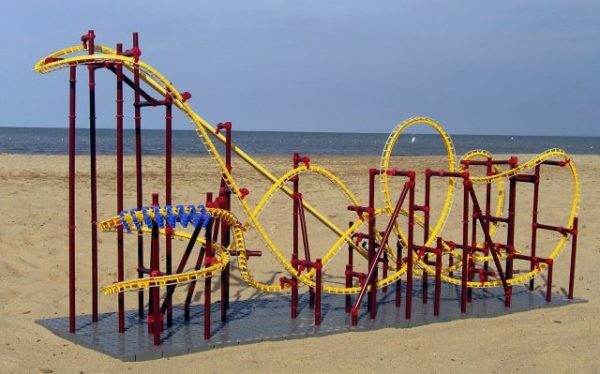 Sure, there were K’Nex roller coaster sets, but nothing super realistic that mimicked an actual roller coaster. Enter CoasterDynamix. Started in 2004 by Jack Rimer and Mike Graham, CoasterDynamix bills themselves as the “makers of the world’s most realistic and amazing miniature amusement rides.” I wanted to learn more about their company, as well as current Kickstarter Project — The Cyclone, so Jack was kind enough to give me a few minutes of his time to talk about CoasterDynamix. 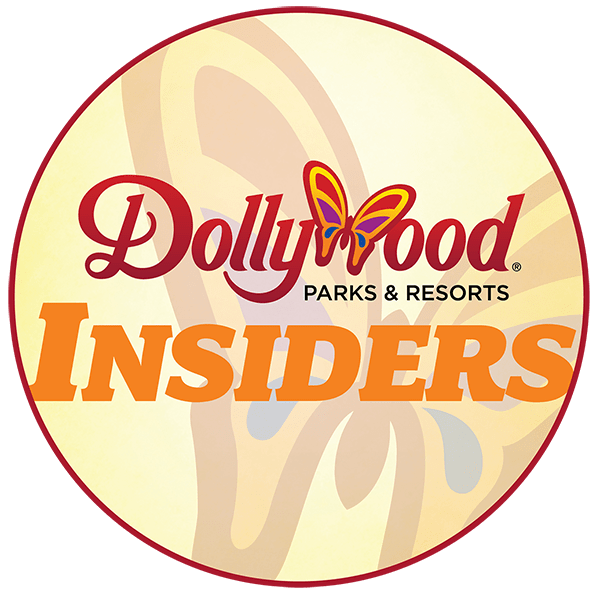 C101: For those who might not know, tell us a bit about CoasterDynamix – who you are, how you got your start doing what you’re doing, etc. Rimer: My partner, Mike, and I began CoasterDynamix back around 2004. 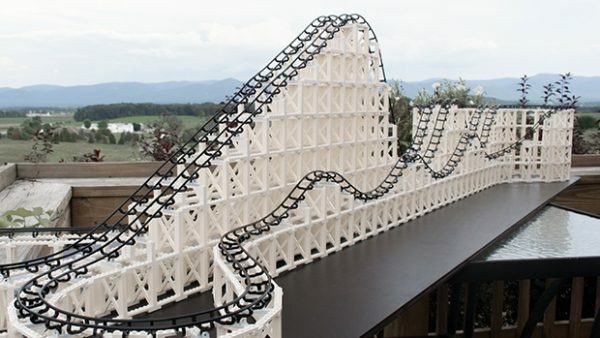 Mike had experience building coaster models and I had experience in model building and manufacturing. 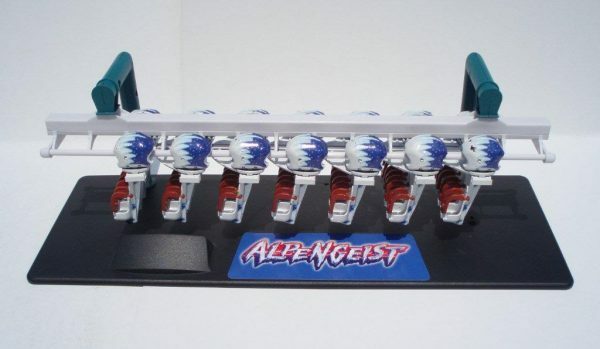 We decided that we would create the most realistic and amazing roller coaster model for sale to the masses. And we did- “The Dragon.” I remember we debuted the model at Nocoastercon in Chicago. The collective gasp when we unveiled it and subsequent clicking of cameras was the first sign we had created something special. 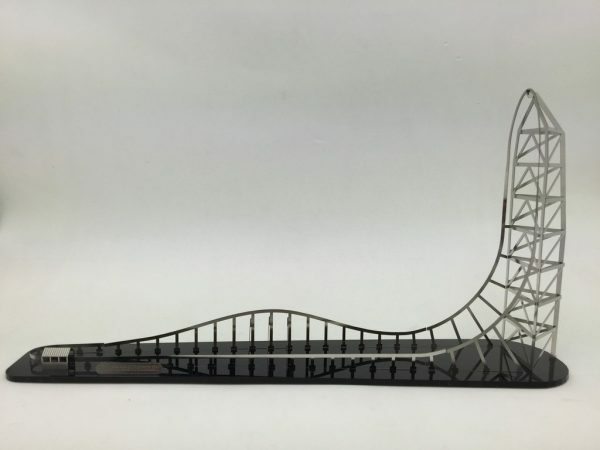 Rimer: Unfortunately, the demand for a $500 roller coaster model that was challenging to build wasn’t as great as we had hoped. So we introduced “The Scorpion.” It was an instant hit. The Phoenix even more so. Production problems doomed the Phoenix. Our supplier in China ran into financial problems and began selling off our molds to pay his debts. We have had to discontinue that kit as a result. 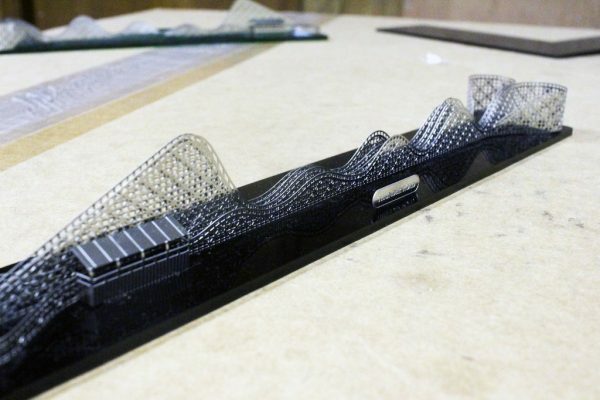 C101: Tell us about your products – Statix, Kits, and Nanocoasters. Rimer: The Comet was our first and only foray into the HO model train market. From a sales standpoint, it has been by far the best selling kit we’ve made. Despite the fact that it is very temperamental to get running. It’s a beautiful kit. Rimer: The Statix models were a fairly popular item, but costly to produce. Parks don’t buy many at a time and the customized nature of the models made it increasingly difficult to turn a good profit. I love these and would like to see them make a comeback some day. Rimer: Nanocoasters were inspired by a discussion with Chris Gray, who at the time worked for Great Coasters. He had an idea to make something similar out of paper or foam. I have another company that makes stainless steel maps as art. We decided to use the same technology for cutting out the maps to produce the Nanocoasters. We use a slightly more malleable grade of stainless to create the easy to bend parts. We also found a vendor who can silk screen the coasters. This adds a whole new level of realism to the line. These have done very well for us and the parks. C101: What is the process behind the creation of your kits and models? Rimer: When my engineer, Dan Linden, sits down to design a model such as a nanocoaster the first thing we have to do is make sure it fits in the box. The base and metal parts need scaled to a size no larger than 5 1/4″x12″. He then designs the model in Solidworks, trying to capture the essence of the ride. This is the key to all of our designs. Each ride has a look, a rhythm, and signature elements. If we have to compromise, we try not to destroy the essence that defines the ride. C101: Do you have a product that you’re most proud of? Rimer: I’m not sure I have a favorite product. I have to say that the Scorpion/Dragon train is an absolute engineering masterpiece. Mike designed this long ago and it is still the most efficient train I’ve ever seen…albeit complicated and expensive. Who ever said design genius comes cheap? Haha. 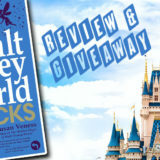 C101: How do you go about getting your products in the parks, or creating replica park models that are park-exclusives? Rimer: Over the years we’ve been fortunate to meet and know a lot of people who work in the industry. Some were ride operators that became executives. Some are fans of our products. Sometimes I call a park about our models and they won’t give me the time of day. Some parks buy anything we make because it sells well. It’s strange. We won Merchandise of the Year at IAAPA one year with Statix and couldn’t get anyone at Six Flags to return a call. The merchandise manager at Kennywood thought the idea was ridiculous, while at the same time I can’t make enough for Cedar Point. Like I said….weird industry sometimes. C101: You recently announced a Kickstarter Campaign for “The Cyclone.” Where did the inspiration for this campaign come from? Rimer: Years ago we made an accessory kit to be used with LEGOs called the Roller Coaster Factory. We worked with LEGO on the design for 3 years and made a sample run of 1000 kits. We sold out eventually, but the product had some flaws. LEGO enthusiasts loved it because they had lots of existing LEGO parts they could build with. The average parent who bought it for their kid at Christmas was furious that it didn’t come with blocks and a chain lift (even though it clearly stated it on the box and on our site). Ultimately, our liaison at LEGO in Denmark left the company and the project just died. Rimer: Literally a few months ago I called Dan and asked him how he felt about doing a Kickstarter for a full kit. We had always wanted to do a Kickstarter project. In fact, Nanocoasters were almost a Kickstarter. After about an hour of brainstorming and addressing the obstacles, we decided to test the viability of some design concepts. I had a summer intern, Rann Johnson, who was quite good at building with LEGO. One day I said “let’s build such and such design”. In about 15 minutes he had exhausted my supply of bricks and constructed a partial lift hill. We ordered about 3000 bricks, had them a few days later and he went to town on it. It took us a couple weeks to finalize the design. It had to not only go together on the workbench, but in Solidworks too. It was a challenge to get the turns to double back and meet up parallel to the lift hill. After much trial and error we got it. 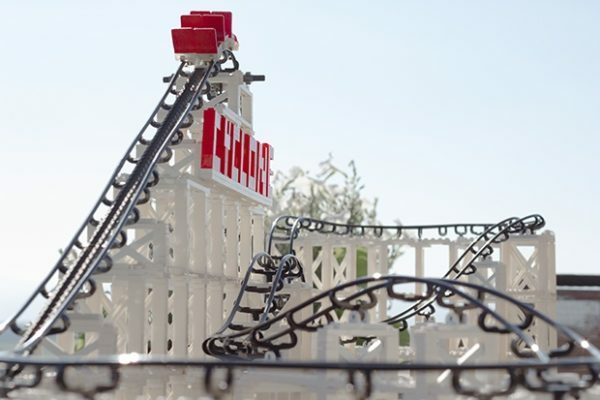 C101: Why did you choose to go with Lego-style bricks, who are more known for their square shape, when roller coasters are often more rounded? Rimer: A lot of our die hard customers probably wonder why we are going away from such highly realistic models such as the Scorpion. It’s really quite simple- economics. Almost every kid in this country has a LEGO something or other. Why should we try and sell a whole new roller coaster system into an already thriving and enormous construction toy market? In other words, if you can’t beat em, join em. We need to tap into the incredible popularity of LEGOs. It makes good business sense. C101: What is your overall goal for this Kickstarter? Who is your target market? Rimer: Our Kickstarter goal is $60,000. This should give us enough capital to build all the molds and run the parts for the kits. Most of the engineering work is complete. 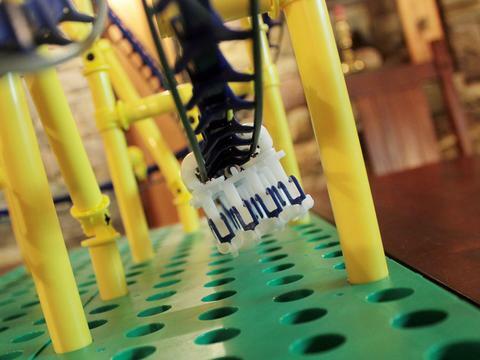 We are targeting everyone from LEGO and coaster enthusiasts to guy gadget aficionados. 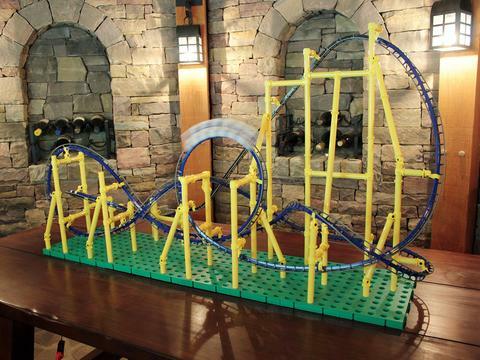 If you like roller coasters or LEGO bricks, this is your kit. C101: Though Lego does not sponsor, authorize or endorse your Kickstarter, do you hope that eventually you’ll be able to work with them in the future? Rimer: Unlike before, we have no aspirations to work with LEGO on this project. We would be foolish to ignore them if they ever came calling, but I’m not holding my breath. We have a good stand alone product here that should survive on its own merits. A Racing coaster created by combining 4 Cyclone Kits. C101: Finally, What’s next for CoasterDynamix? Rimer: We have no shortage of ideas for CoasterDynamix. I could list 10 projects I would love to pursue if I had the time. I own 3 other businesses and Mike has a “real” job designing actual roller coasters. It’s difficult to find the time to devote to all these cool ideas. However, I must say that working on CoasterDynamix is my passion and if I had my choice it’s all I would ever do. Thanks to Jack for his time. 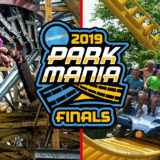 For more information about CoasterDynamix, be sure to visit their website, or check out the Kickstarter Campaign for The Cyclone here.